We are happy to announce that Dravyaniti’s Algo Convention 2019 (Scheduled to be held on April 20th and 21st 2019) has offered us a special Rs.4000/- discount on their convention fee. Algo Convention 2018 is attended by CXOs of Banks / Broking / Fin-Tech Firms, Quantitative Research Professionals, HNI/ UHNI Traders & Investors, Wealth Managers, Faculty and Students from Academia, Algo Trading Technology Professionals. Eminent speakers from the industry and international speakers will take the dias or reach out through video conference to talk about many aspects of Algorithms including strategy building, improvising your strategy to incorporating machine learning into your algorithms. April 13th, 2019 (Saturday) – Introduction to Algorithmic Trading. Time 10:00 a.m. to 5:00 p.m.
April 20th 2019 (Saturday) and April 21st 2019 (Sunday) – 1 Night, 2 Days Residential Convention, Venue is Novotel Imagica, Khopoli, about 70 kms from Mumbai. Time 10:00 a.m. on April 20th, to 5:30 p.m. on April 21st. April 27th 2019 (Saturday) – Virtual conference comprising International speakers, Time 11:00 a.m. to 10:00 p.m. The pricing for the Conference is Rs.21,990/-. As a client of Spider Software, you can avail a discount of Rs. 4000/-. The ticket price for you would be Rs.17,990/- + 18% GST will be additional. For clients who cannot attend Residential Algo Convention can opt for e-Algo Convention which would cover all the sessions viz. April 13th – Introduction to Algo Trading April 20th and 21st – Live Stream of Residential Algo Convention talks April 27th – Virtual Conference of International Speakers e-Algo Convention can be attended through Interactive Live Webcast from the comfort of one’s home or office. The pricing for the e-Algo Convention is 13,990/- (Inclusive of GST). In addition to all the participants of Residential Algo Convention and e-Algo Convention will get access to the recordings and presentation of all the session till May 31, 2019 via a user Id and password 2 days after the event. 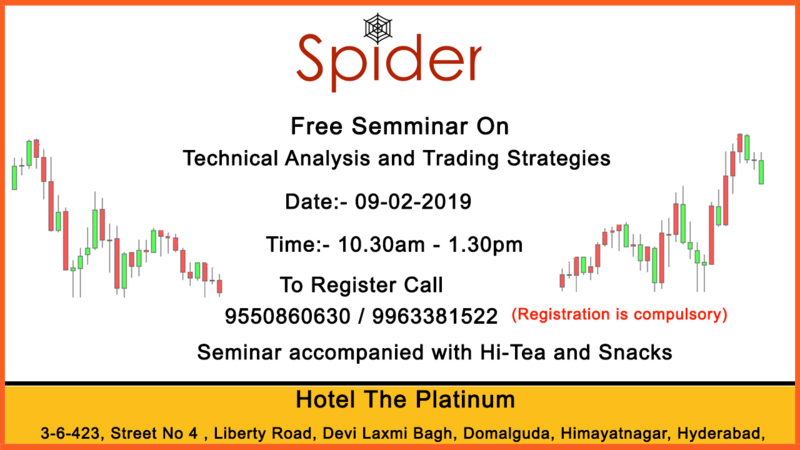 Spider Software is organizing a free seminar in Hyderabad on 09 Feb 2019. 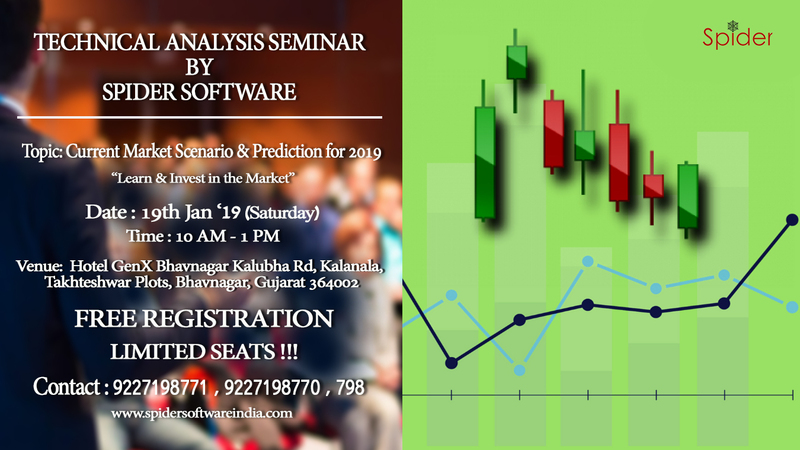 In this seminar software professionals going to share their experience with live examples so this seminar will not only help you understand how to Trade & Invest using Event Trackers but will also provide you the best trading strategies which will help you in your daily trading life. Don’t miss this great opportunity to enhance your skills and competencies. 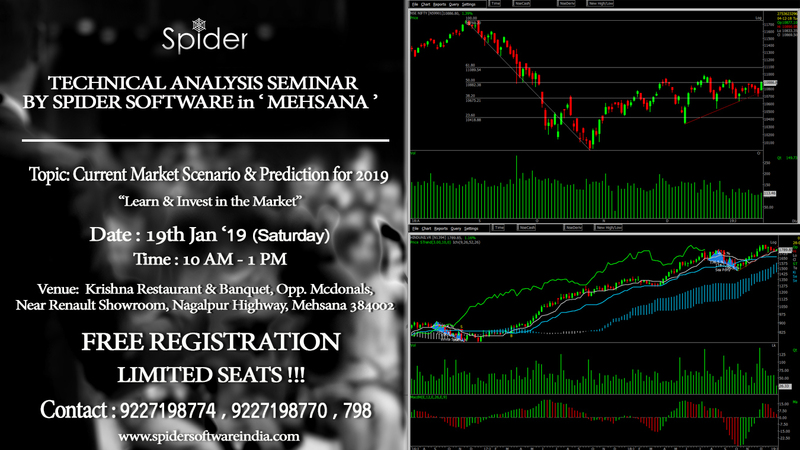 Spider Software is organizing a seminar in Ahmedabad on 9th January’19. This seminar would help you understand the profitable intraday set-ups & Money Management concepts If you have any queries or information pertaining to training, don’t be stranger drop us a message. Venue: Venue: The President – A boutique hotel, Chimanlal Girdharlal Rd, Opp. Municipal Market, Vasant Vihar, Navrangpura, Ahmedabad – 380009. Let us together donate our blood to help the others. A little kind act goes a long way! 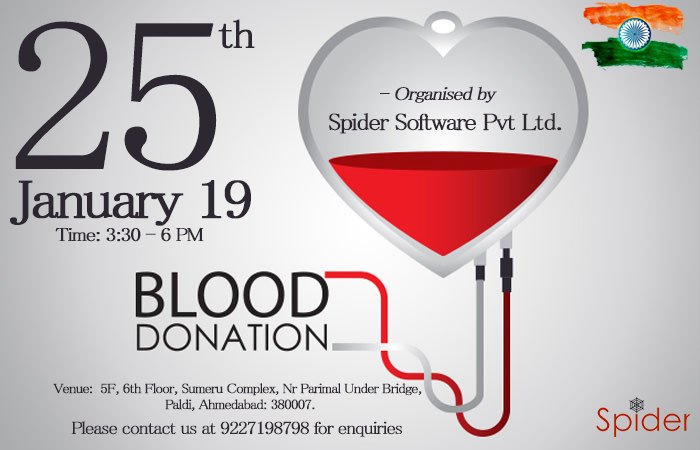 Venue: 5F, 6th Floor, Sumeru Complex, Near Parimal Under Bridge, Paldi, Ahmedabad: 380007. This charity event can save the lives of many people. Hence, we request your participation and also request you to invite your friends, relatives and other people you know for this noble cause. ‘A wonderful blood donor took time out from his or her busy life to save lives. Thank you in advance for your kindly support. 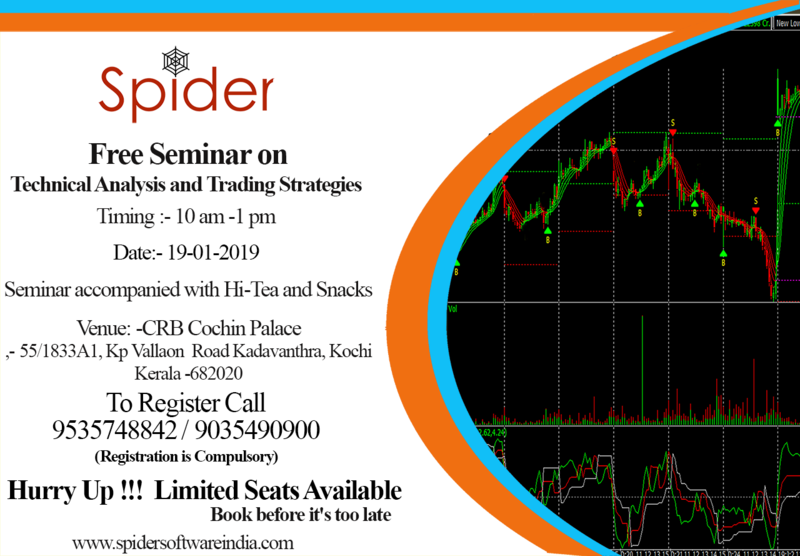 Spider Software is organizing a free seminar in Kochi on 19 Jan 2019. 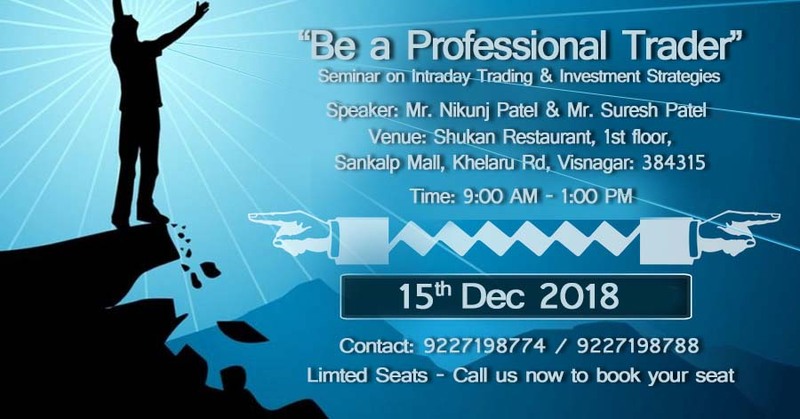 This seminar will not only help you understand how to Trade & Invest using Event Trackers but will also provide you the best trading strategies which will help you in your daily trading life. This session fully packed with technical analysis techniques and we help you to enhance your power with software to win realtime market. 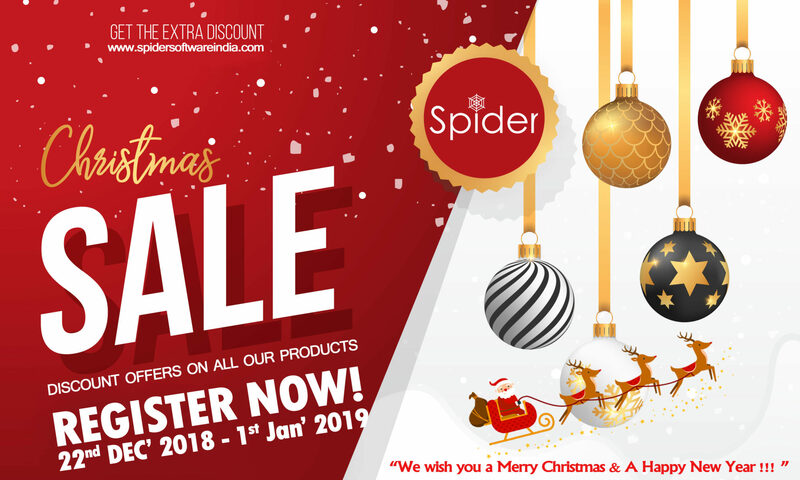 *Spider Software brings you a Great Christmas & New Year Sale!!! Buy any of our product and avail a special discount on it . . . Learn and Earn Same Day!!! 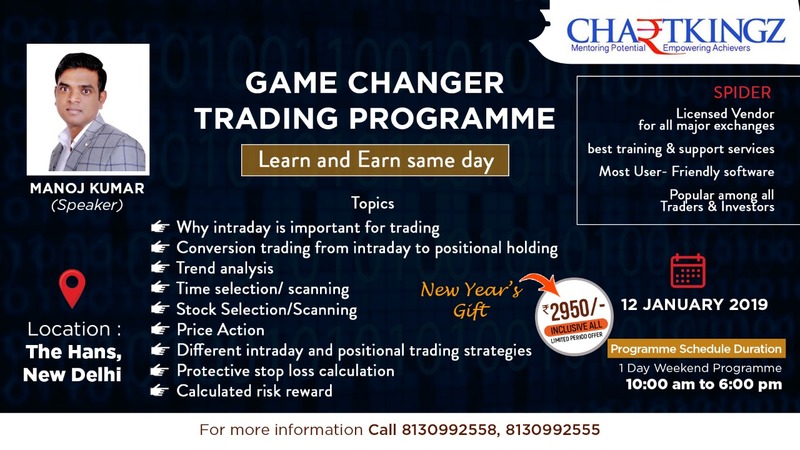 Spider Software presents “Game Changer Trading Programme” a one day workshop that will change and improve your style of trading in Stock Market. 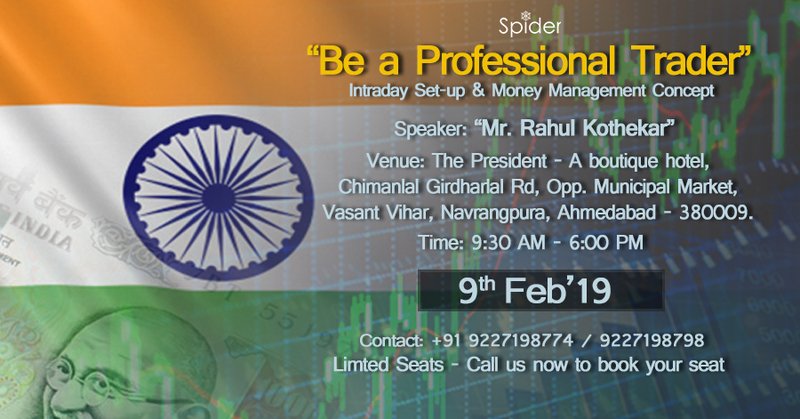 This is once in a lifetime opportunity to learn from Stock Market Expert Mr. Manoj Kumar. Why intraday is important for trading? Conversion trading from intraday to positional holding. Different Intraday & positional trading strategies. Venue: The Hans, No 15, Barakhamba Rd, Connaught Place, New Delhi, Delhi 110001. CALL NOW: 9227198798 / 8130992555 TO BOOK YOUR SEAT. Learn from the Spider Software’s Zonal Head and Regional Manager who has the experience of more than 20 years in the field of Technical Analysis.